Nobody was a genuine sensation when it was launched. 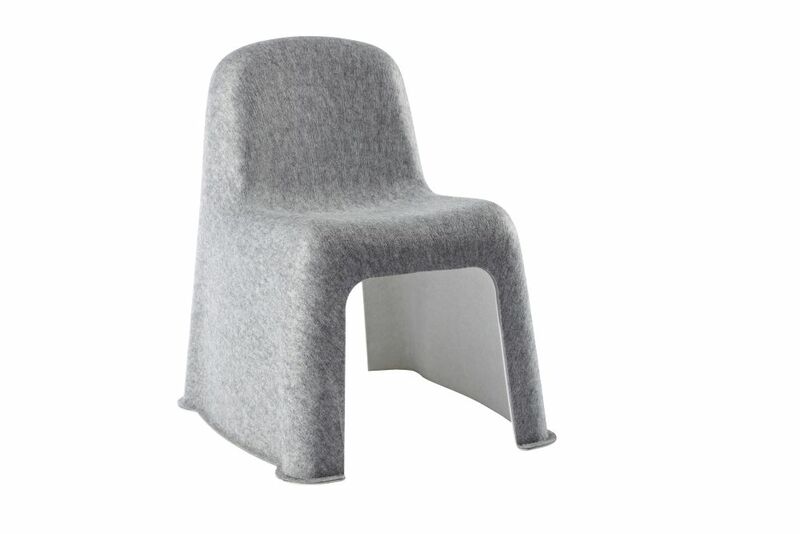 A stackable chair moulded in a single piece from one hundred percent recyclable plastic converted into felt had never been done before. Nobody is soft, comfortable and versatile with no hard edges or loose parts. The lightweight chair has the additional advantage of making no noise or scratches when pulled across the floor, and is easy to pick up and move around. That the plot is at the heart of the design firm Komplot’s work over the past 24 years is easy to spot when you consider the creative output. All Komplot’s corporate identities, products and furniture designs are driven by certain characteristic qualities: original idea, innovative manufacturing, alternative approach, strong concept. The narrative layers that are added to the functional core, whether the angle is technological, aesthetic or historical, tie the different design aspects into a complete story. Nobody Chair for HAY virtually combines all three layers on top of the functional product: Nobody is a technological innovation in a sustainable and reusable material, and it is also the first chair in the world where textile makes up both construction and surface. In addition, the name represents plays with the notion of absence. Like a shadow on a conventional chair – or a blanket thrown over a chair that is mothballed while the residents are away. That Nobody Chair is easy to move around, weighs next to nothing and does not dent the floor makes it an outstanding choice in most contexts, and the chair has deservedly received multiple awards and been included into the permanent collections of several design museums, including Vitra Design Museum. Komplot’s significant imprint on Danish design history is evident. And even though Poul Christiansen and Boris Berlin have since parted ways, Komplot remains an active brand.